Hello! I hope you’ve got the same gorgeous fall weather we’ve been enjoying here in Pennsylvania. I have been working fast and furious on some outside projects before the weather turns cold – washing windows, cleaning out the garage and building a storage solution in there, to name a few. I’ve discovered a ridiculously quick and easy way to get my windows clean and streak-free, which I’ll be sharing in a future post. But today, I wanted to show you what I’m building in the garage. 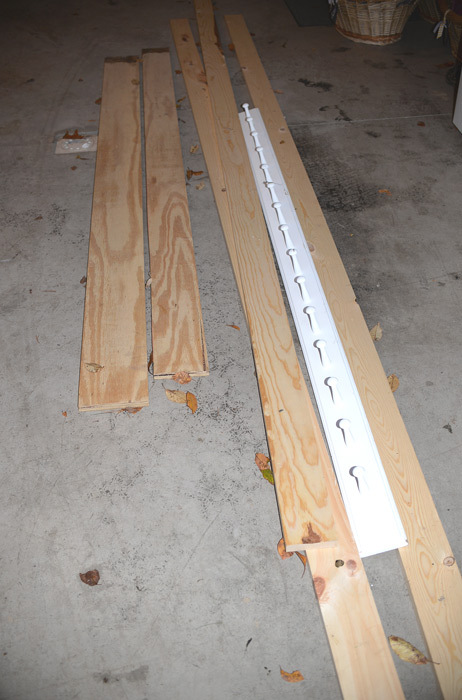 I’ve actually been meaning to do this project since last fall, but I was missing one important tool – a table saw. 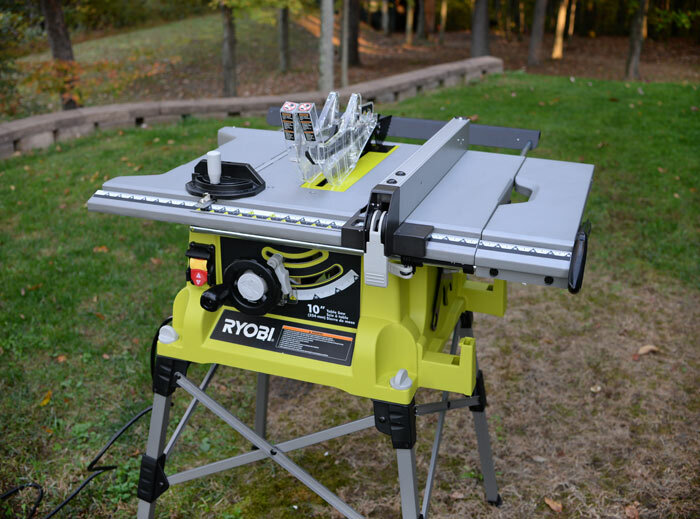 Now that I’ve got this Ryobi® 10-inch portable table saw and my miter and skill saws, I can cut any piece of wood that comes my way. Mwa-ha-ha-ha. 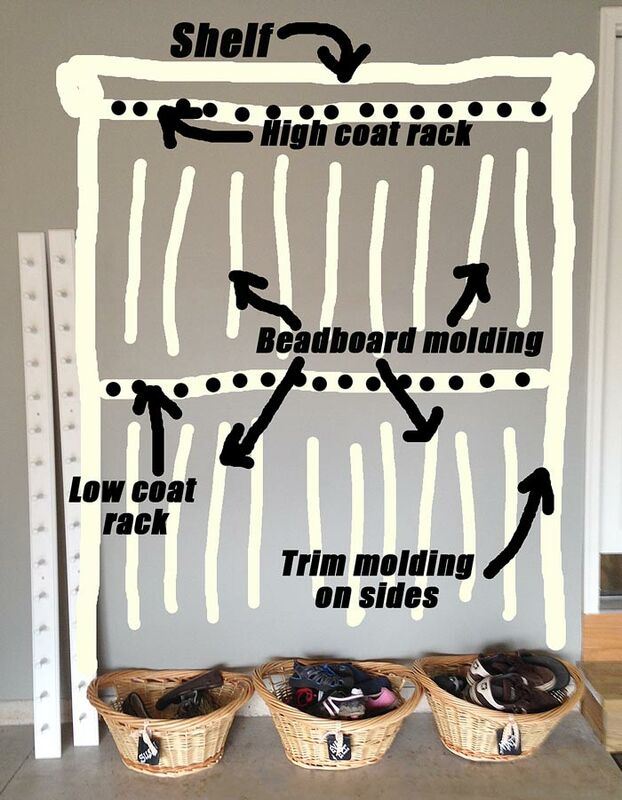 For this coat rack project, I am using leftover 1×3-inch boards, a piece of plywood for the upper shelf, crown molding, two shaker peg coat racks from this Etsy shop, and a roll of beadboard wallpaper. Stay tuned for more details on how to do this project, coming soon! 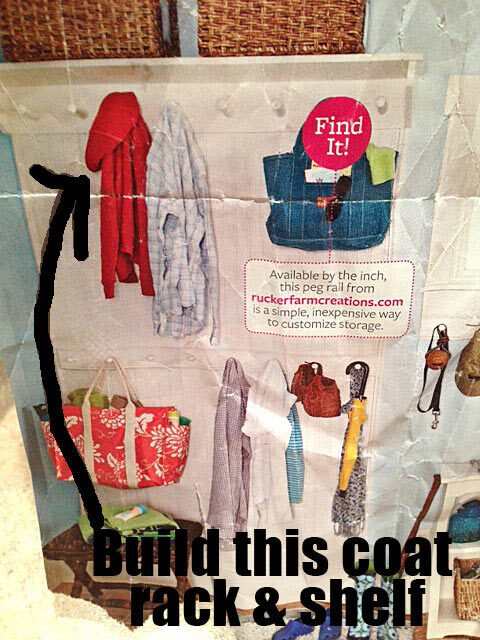 Do you have a problem finding space for all your family’s outwear? 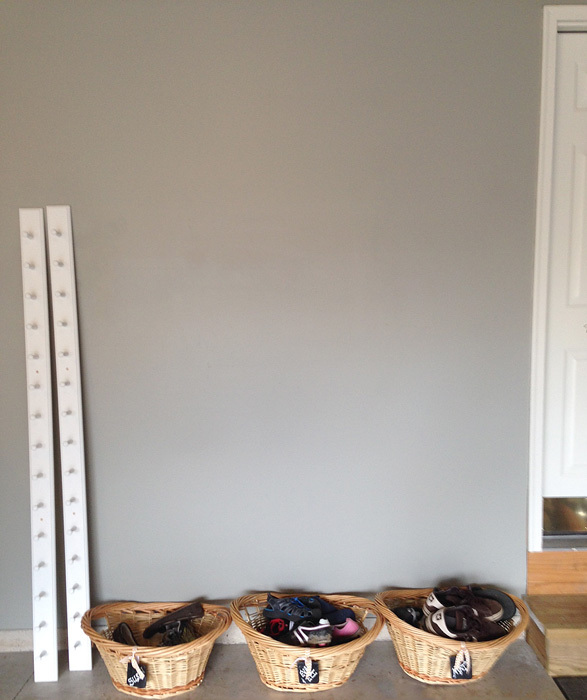 Do you have any creative storage solutions that have worked for you? 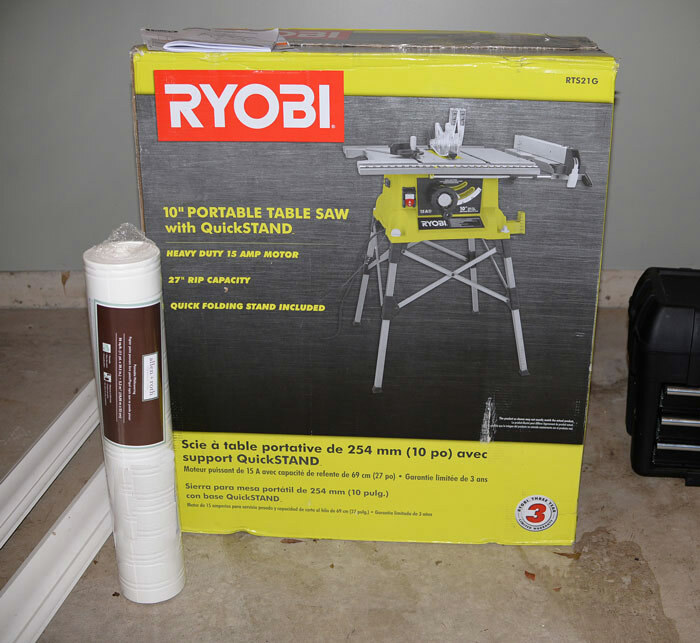 Special thanks to Ryobi for providing me with the table saw necessary to complete this project. As always, all opinions, projects, and blood, sweat and tears are 100-percent mine. The chill in the air is reminding me that the time is now or “wait until spring” to finish Phase 4 of the garage renovation. In other words, the outdoor painting season is almost over for those of us in Pennsylvania. I already tackled Phases 1, 2 and 3 of the garage project. 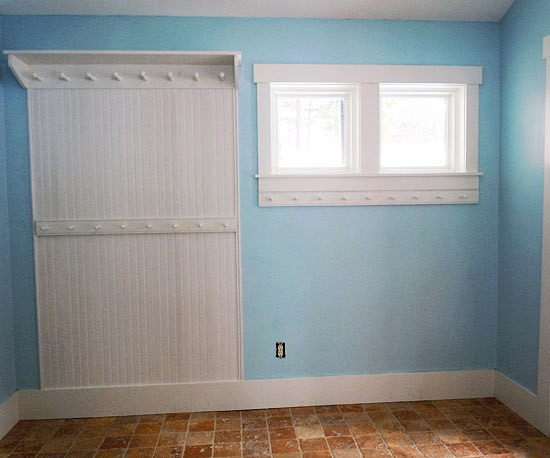 In fact, I even finished Phase 5 when I painted the cabinets. So it’s time to go back and make good on my word to accomplish Phase 4, which is to build a coat rack and shelf for the insane number of coats, scarves, etc. our family drags out during the cold months. The jackets are already starting to pile up in the laundry room. I love the design because it incorporates a lower coat rack that kids can easily reach. It’s right next to the main door we use to enter our home, making it a convenient spot to drop stuff. 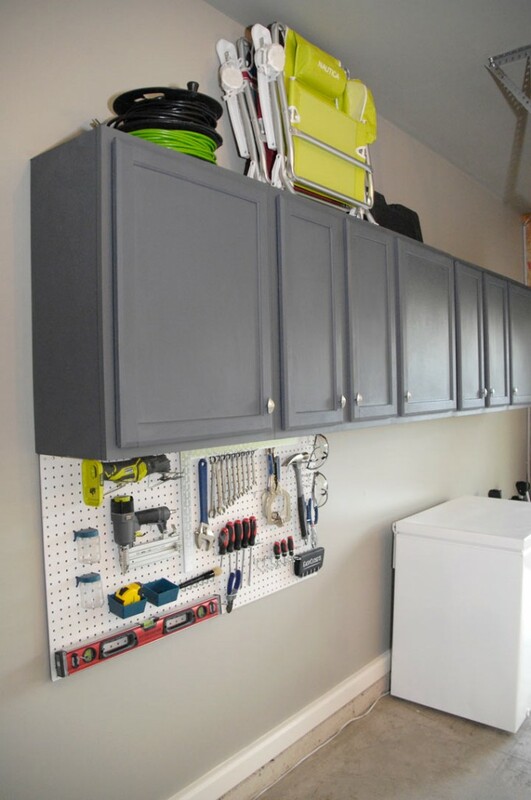 You’ll notice I’ve already purchased two pegboard racks that I’m planning to incorporate into my design. I bought them from this Etsy shop. I figured using already-built racks would make this project go a whole lot smoother. Hopefully I’ll be heading to the lumber yard tomorrow to pick up some materials. More to come! 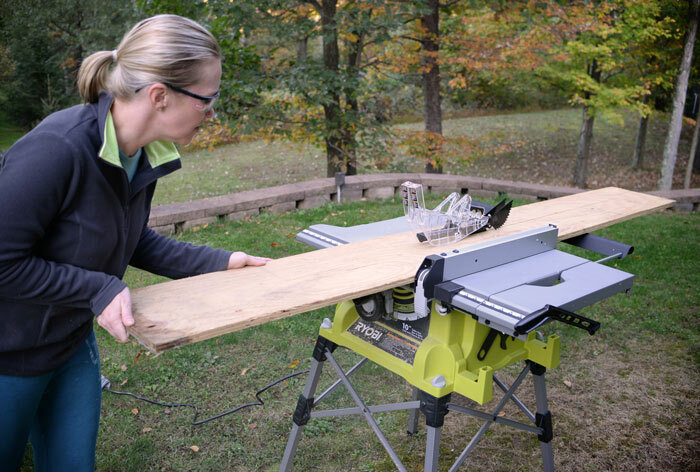 Here in Pennsylvania, the fall weather has been absolute bliss … perfect for knocking out those lingering summer DIY projects before the weather turns cold. Today, I wanted to share with you my most recent outdoor-ish project as well as a giveaway you will not want to miss. 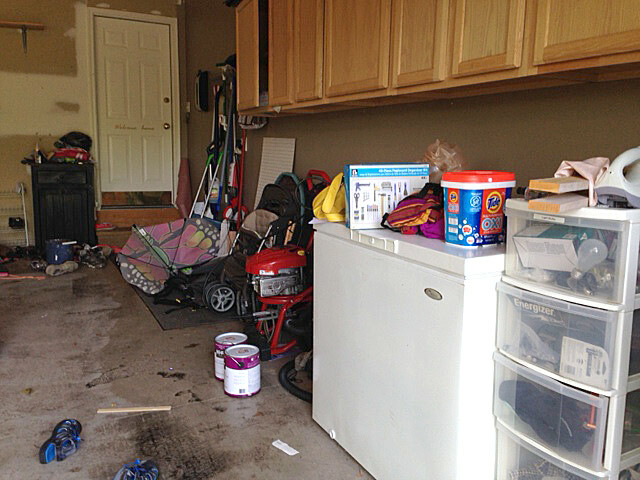 I’ve been working like mad to get The Great Garage Disaster under control. I’ve cleaned up, painted the walls, installed a tool organizer, and painted the cabinets. I took a stab at cabinet painting with the master bathroom vanity redo and was happy with the results. However, my one big wish for that project was that I had a paint sprayer. 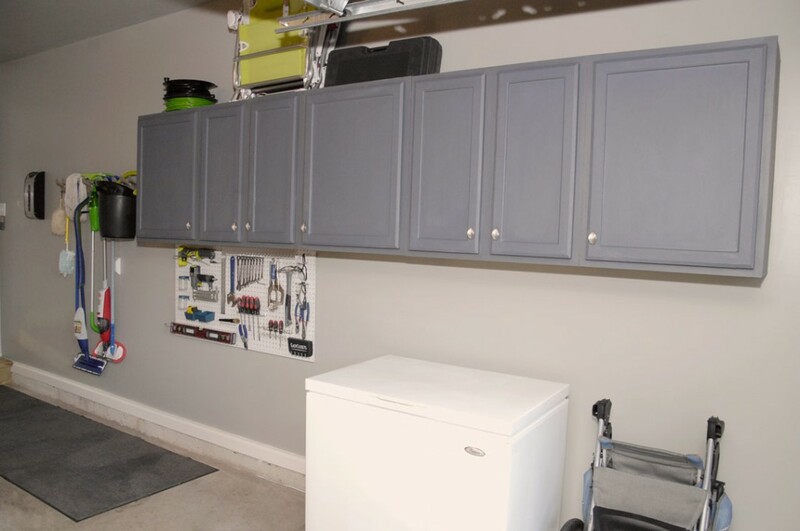 So I got braver with the garage cabinets and used a HomeRight® Finish Max Pro Fine Finish Sprayer to get the job done like a, well, pro. If I had an inside spray booth, free of potential gnat and leaf invasions, that would have been ideal. But hey, you work with what you’ve got, right? To view the video, click here or on the image below. I am really happy with how the cabinets turned out and how quickly the project got done using the finish sprayer. 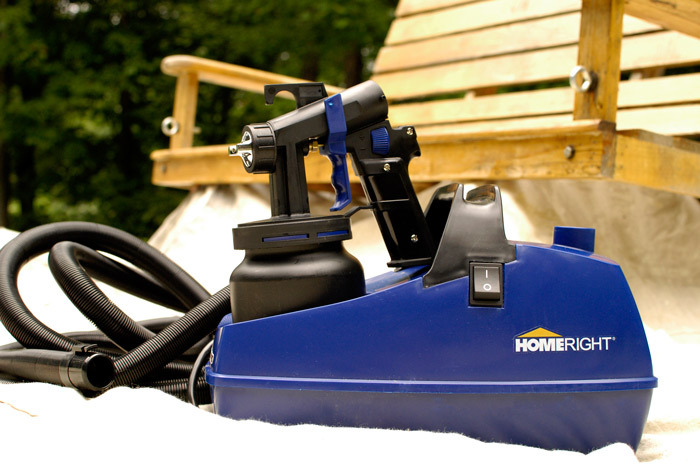 Now, for the best part, one of you luckies will win your very own HomeRight® Finish Max Pro Fine Finish Sprayer. If you do any furniture or cabinetry painting, you definitely want this baby in your tool shed. 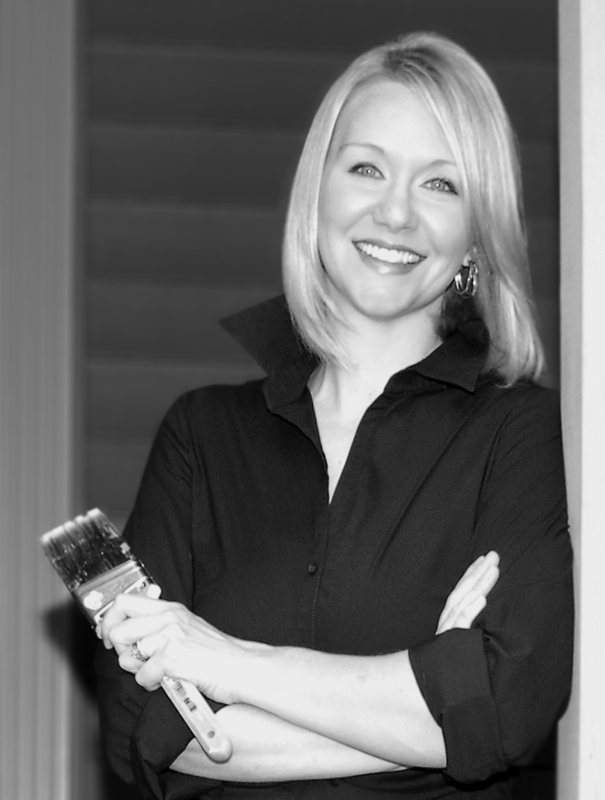 To enter to win, simply leave a comment on this post telling me what project(s) you would use a HomeRight® Finish Max Pro Fine Finish Sprayer to tackle. To get credit for each bonus entry, be sure to leave a separate comment for each action you complete. This giveaway will be open for entries until 11:59 p.m. (EDT) Oct. 13. On Oct. 14, I’ll announce a winner. The winner must respond within 72 hours of being chosen or a new winner will be selected. Special thanks to HomeRight for sponsoring this post. As always, all opinions and sweat equity are my own.